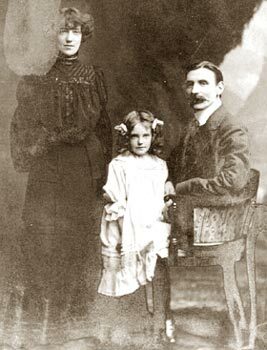 Henry George Blachford 1838 - 1906, his wife Emma Isabella Maskell and their daughter Elsie. Henry is the son of Absalom Blachford, he was born in Lymington, Hampshire, England. Photograph courtesy of Julian Heath. 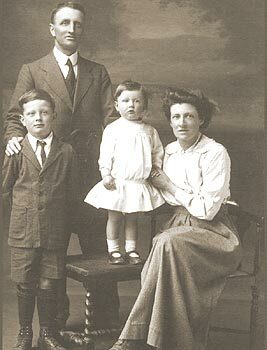 Samuel Blachford born 9th Oct 1878, his wife Nellie (nee Clark) with their 2 children Kenneth Clouder Blachford born 9th Apr 1912 and Mary Frances Blachford born 25th September 1917. Absalom Blachford 19th August 1838 - 16th February 1906, he is the son of William Blachford and Jane Kenchington. 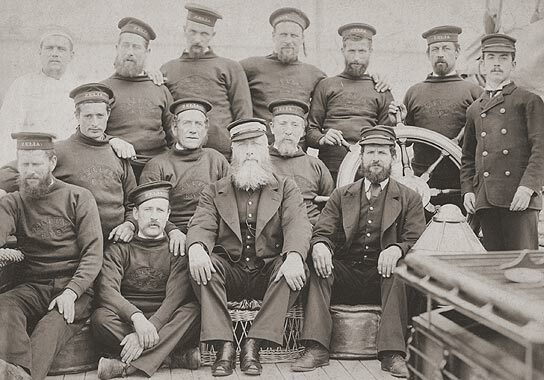 He is photographed here with his crew aboard the yacht "Zelia"